See the set in the wild, and on Christmas morning, here. “See the set in the wild on Christmas morning” ? No need, I lived it! Ditto. 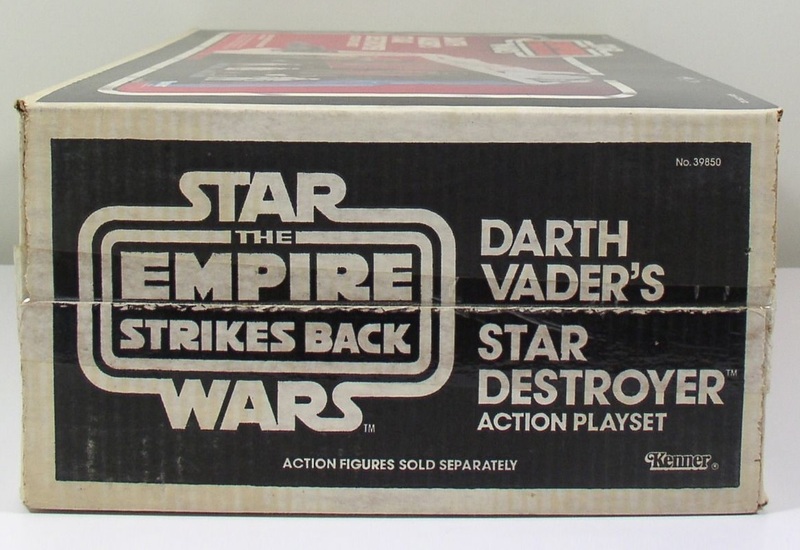 I just remembered now that the characteristic black and white side and rear panels were stark enough in contrast, that if a present was wrapped in thinner/lighter wrapping paper, I would press it against the panels to reveal if it was a Star Wars toy. It worked several times. My mom double wrapped. Every year. lol, wait. I didn’t fully realize until now that this was being sold as an actual Star Destroyer. 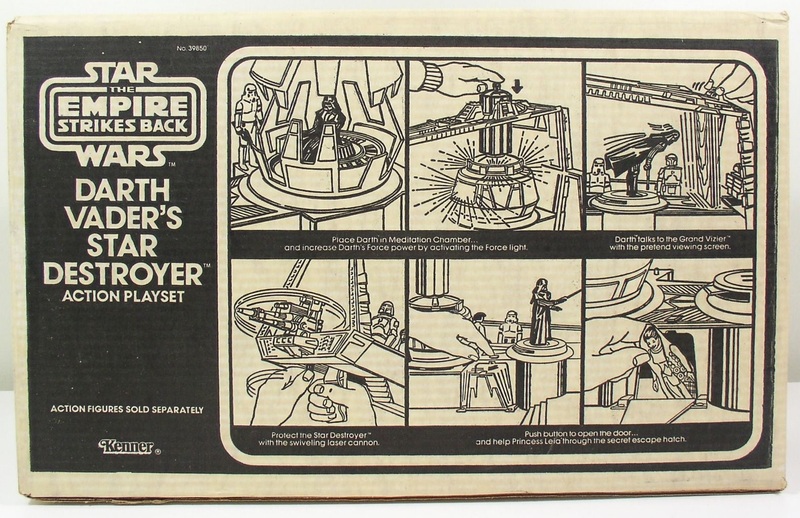 I had a closer look at that one side panel showing the kid holding a grip beneath the playset, which I suppose allowed one to simulate flight through inner space…umm yeah, that’s a stretch. 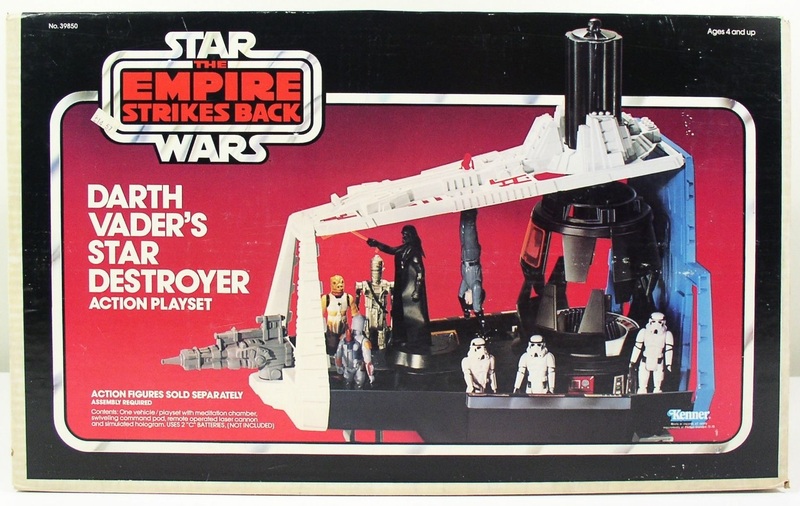 Then again, obviously the sheer enormity of a Star Destroyer would’ve been impossible to render as a toy, right? lol.